Measurements are from point to point. short are 1/2 inch...long are 1 inch. 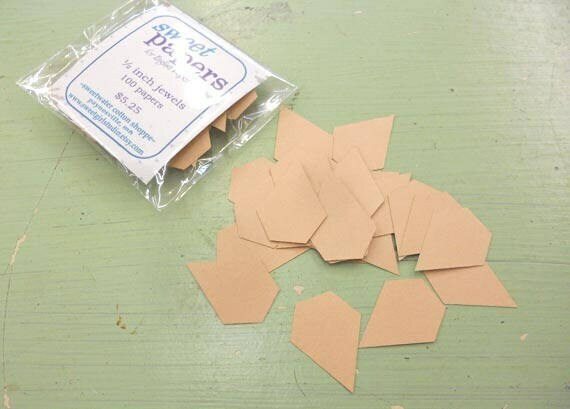 acrylic templates are available and feature a 3/8 inch seam allowance. Clear, high quality...just peal of the brown backing. decided how many packs of 100 papers you'd like then choose that amount "with tem(plate)"